This is how you find the way from our website to our offices. Our offices are located on the 6th floor of the Gründerspinnerei. The nearest entrance is on the left side of the former spinning mill building. Take the train to Karlsruhe Central Station. From the station it is only a 3 minute walk to our office. 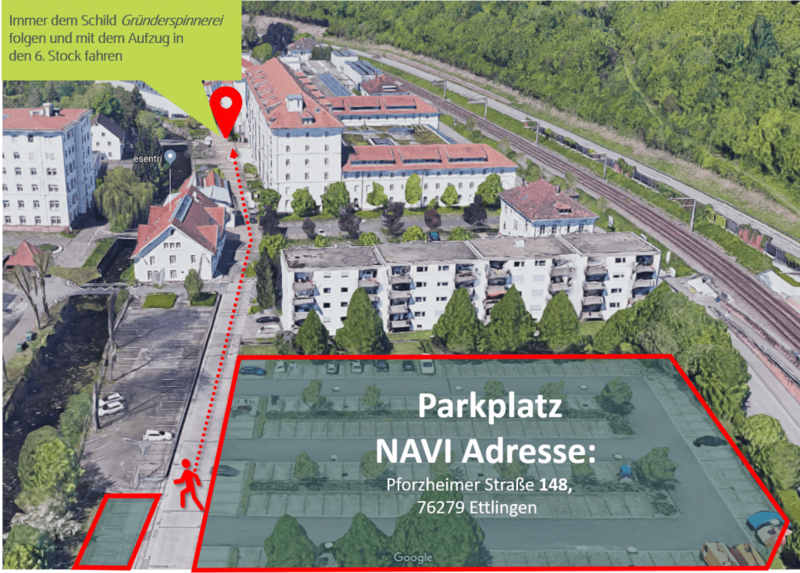 Enter the address of the car park, Pforzheimer Straße 148, directly into your navigation system. This saves you the trouble of looking for a parking space. From the parking lot, you can walk to our office building in 3 minutes.